In January I wrote to 1950s-born women in Warrington South to provide an update on the action being taken to try to address the injustice that women born in the 1950s have experienced following the Government’s decision to accelerate the rise in the state pension age. In Warrington South around 6,000 1950s-born women have been affected by the accelerated rise in the state pension age. Since being elected as the local Member of Parliament I have received hundreds of emails, letters and phone calls from constituents who have expressed their anger on this issue. I have met constituents affected at surgeries and in Westminster. I have spoken at events in support of the campaign, I used my maiden speech as an opportunity to call for action and I have questioned Government Ministers on the issue. Towards the end of last year, I held a local coffee morning for 1950s-born women, at which over 100 Warrington South women attended. 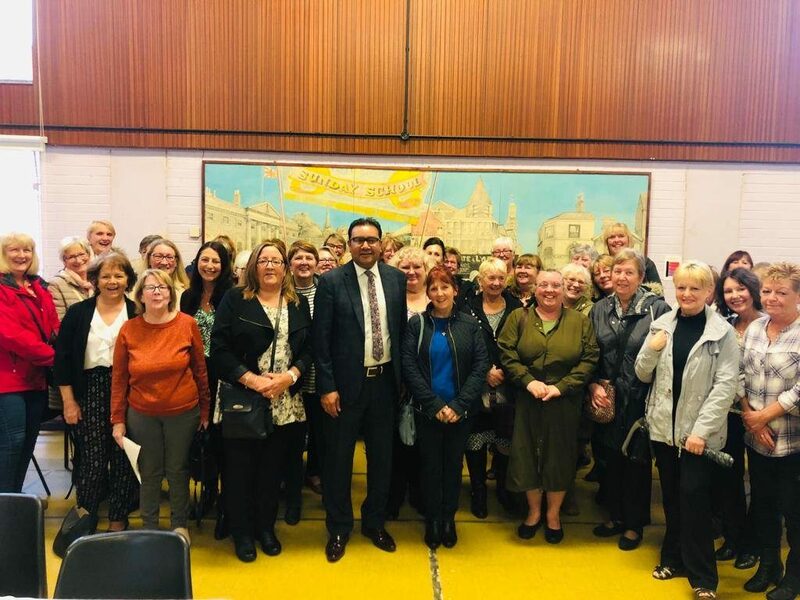 I invited local women to come along and share how the pension changes have affected them and to find out what action they wanted to see taken to right this injustice. 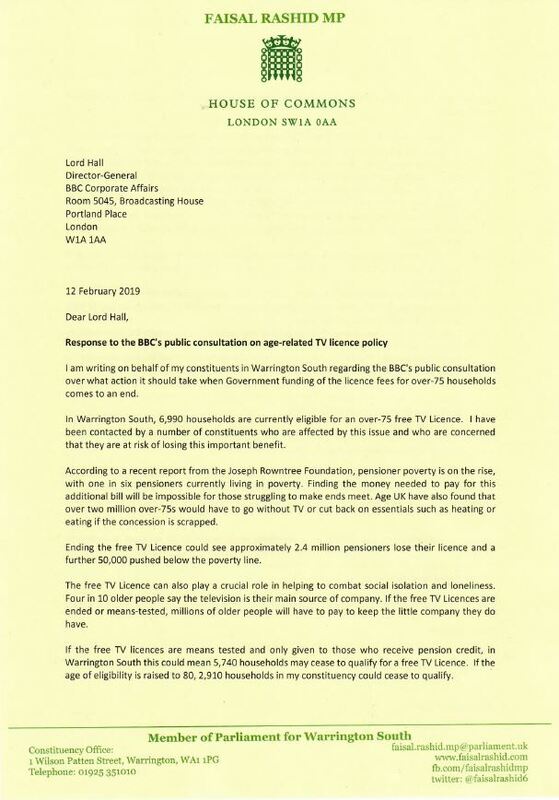 I have also written to the Pensions Minister, Guy Opperman MP, to outline the concerns that have been raised with me and to provide a snapshot of some of the comments. Following receipt of that response I wrote to the Managing Director of Warrington’s Own Buses, Ben Wakerley, and to Councillor Russ Bowden, to ask if, in recognition of the unfair treatment 1950s-born women have received and the fact that the national concession is no longer available, whether there is any action that could be taken locally via Warrington’s Own Buses to help the women affected with the cost of bus travel. to put in place the necessary transitional protections to end this injustice. 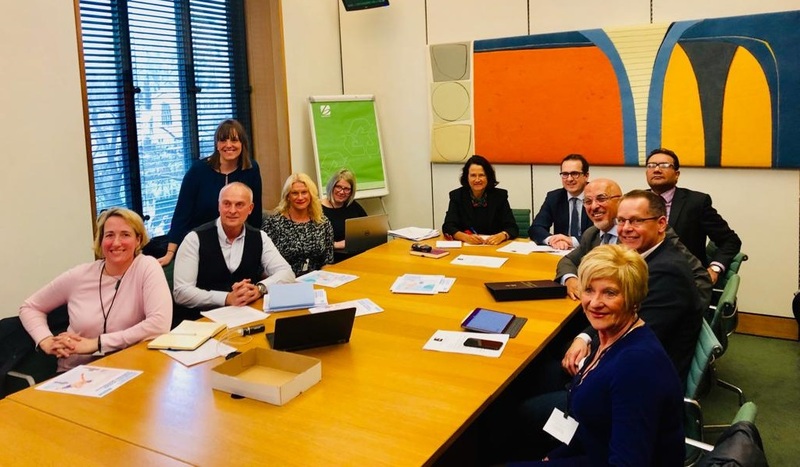 I'm pleased to have joined the meeting of the APPG on Swimming to discuss the Government's plans for tackling swimming and water safety in primary schools. I believe it's crucial that we allow all of our primary school children to learn the important skill of swimming. In Warrington South, there is only one 25m x 4 lane school pool meaning we do not have enough pool stock to service the 2000 children waiting to learn to swim and the 2900 weekly lessons taking place. I will continue to use all my Parliamentary resources to advocate primary swimming and for the Government to take greater measures to improve swimming and water safety attainment in primary schools, including a new 6 lane swimming pool to meet our needs locally. Last week I spoke in a debate on how acts of generosity and compassion from local volunteers and charities provide lifelines for people in need. These volunteers are critical to the functioning of our community. They represent the very best of us. But the Government must build upon this by supporting initiatives to help people of all ages and backgrounds volunteer. There is little evidence to suggest it is committed to doing so. And after over 8 years of Tory austerity, there is an over-reliance on the generosity of local people as a substitute for properly funded local services. Volunteers should not be expected to pick up the pieces when swingeing Tory cuts shatter our local communities. If the Government is serious about connecting communities by supporting charities and volunteers, it will make good on the Prime Minister’s promise last year that 'austerity is over'. Mental illness does not discriminate – it can affect anyone regardless of gender, age or ethnicity. One in four adults and one in eight 5 to 19-year olds experience mental illness. Whether brought on by pressure in the workplace, money worries, family challenges such as post-natal depression, rising levels of pensioner poverty or loneliness, mental health difficulties can affect any of us at any time. Life is getting tougher for our children and young people as they face many challenges to their resilience, and this can take its toll on their mental health and wellbeing. Many are affected by bullying, the intense pressure of school work, social media or troubles at home. It is crucial that theyare given the support they need, when they need it. But demand on support services is growing, with the number of children seeking help from Child and Adolescent Mental Health Services (CAMHS) in England more than doubling over the past two years. Men have traditionally been reluctant to seek support. In England around 1 in 8 men have a common mental health problem. According to the Time to Change campaign, research has shown that only a third of men would talk openly about their feelings, and one in five admitted they saw others showing emotions as a sign of weakness. 31% of men said that they would be embarrassed about seeking help. In Warrington, the Time to Change ‘be in your mate’s corner’ campaign was launched to raise awareness and understanding of mental health issues, encouraging men and young people to be more open and supportive of their friends when it comes to mental health. Campaigns like these are invaluable – raising awareness and aiming to break down the stigma of talking about mental health. But we also need our services to be able to cope with the rising demand. After years of Government driven austerity, the gaps in mental health provision are widening. The Government has repeatedly promised to give mental health the same priority as physical health – yet according to analysis from the Royal College of Psychiatrists, mental health trusts have less money to spend on patient care in real terms than in 2012. The Royal College of Nursing maintains that the NHS has lost 5,000 mental health nurses since 2010. It is essential that our mental health services are properly funded to meet these unignorable pressures, and that mental health budgets are ring-fenced so that we can be sure these funds reach the frontline. 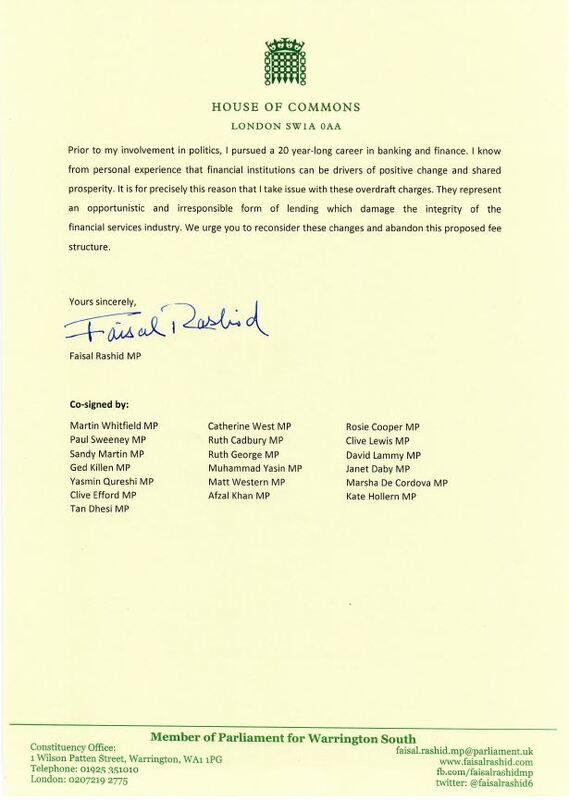 Today, I called on Lloyd Banking Group to scrap their new tiered overdraft system in a letter co-signed by 19 of my fellow Labour MPs. The new overdraft system, announced in November 2018 and introduced in January this year, could see customers who go overdrawn by less than £1,250 required to pay an annual interest rate of 61%. 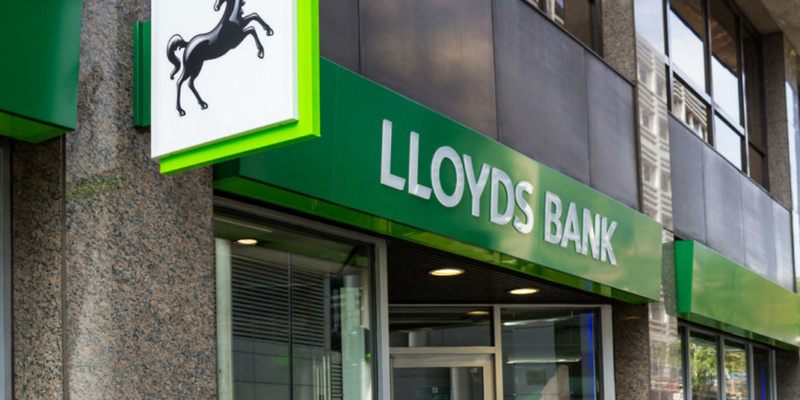 Lloyds Banking Group are the largest overdraft provider in the UK, and these new measures are likely to impact a number of my constituents. 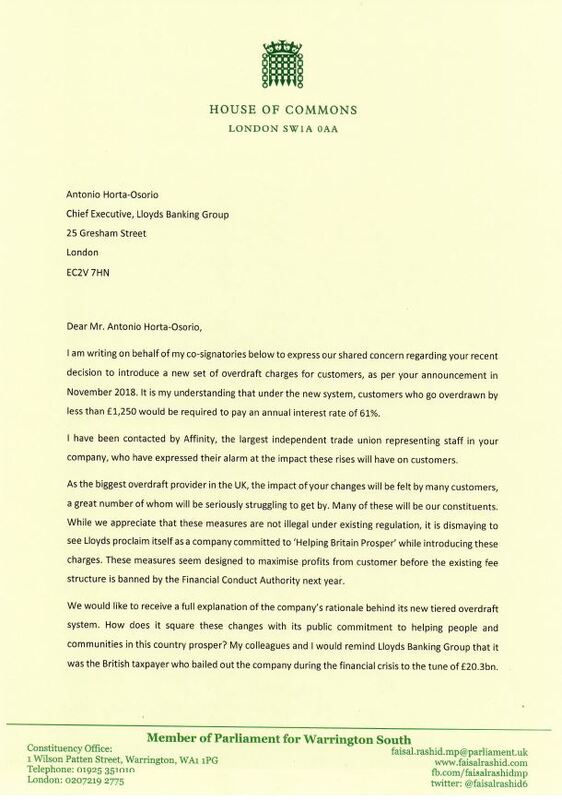 I have urged Lloyds to abandon these opportunistic and irresponsible measures. 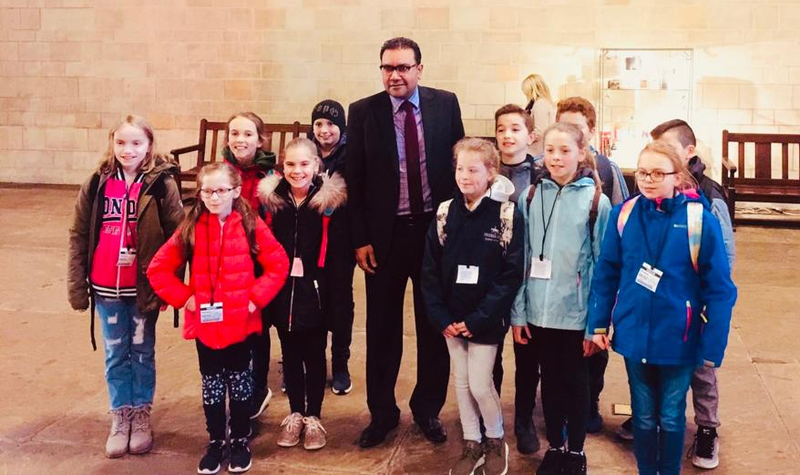 It was great welcoming Chapelford Primary School to Parliament last week. 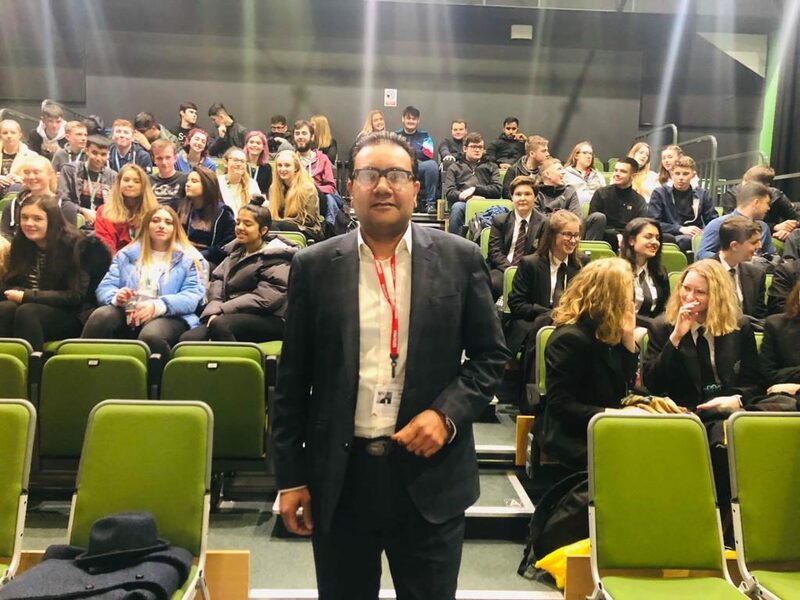 I really enjoy these opportunities to engage with the younger generation, answering any questions they have and discussing some important topics they bring up in conversation. I believe it's important to invest in the younger generation and develop their skills, capabilities and create opportunities where they can pursue their interests, so that we all benefit from a stronger society. Forging new and strengthening existing trade relationships on the international stage is a key priority for our country. As a member of the International Trade Select Committee I have had many conversations in Westminster, with constituents and local businesses about the sorts of trading arrangements we want here in the UK. As the local MP of course I want to create opportunities for Warrington South including access to a range of skilled and well paid jobs. That is why I created the All-Party Parliamentary Group for the Belt and Road Initiative (BRI) and China-Pakistan Economic Corridor (CPEC). China’s Belt and Road Initiative – which plans to invest as much as $8 trillion in infrastructure projects in 78 countries across Europe, Africa, and Asia – is one of the world’s most ambitious development programmes. The China-Pakistan Economic Corridor is the biggest single BRI programme and the largest global investment project in any Commonwealth country, estimated at $62billion in Pakistan alone. I founded the group to raise awareness of these projects among politicians, policymakers and the British business community. At this week’s event, we launched a joint inquiry which will work to achieve this outcome. I want to support a Britain that is outward-looking and engaged with international trade. I see the work of this APPG as part of that effort. This week’s meeting heard from business leaders and representatives from China, Pakistan and the UK. They explored how British businesses can pin down opportunities in BRI and CPEC and the challenges they may face, raising a number of key issues for future discussion. Locally, I am also working to explore opportunities for Warrington South. 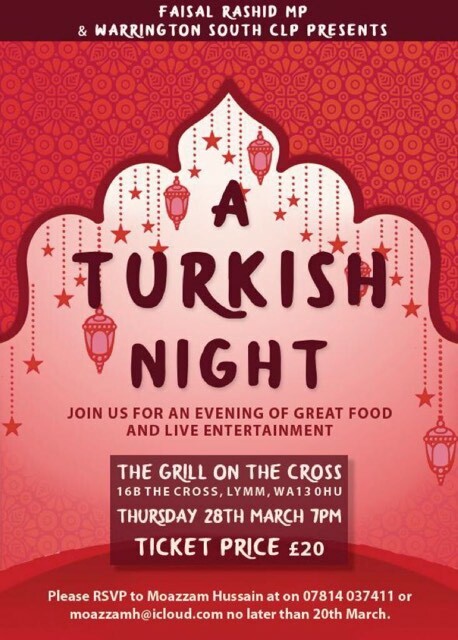 I am proud to be working with Warrington Business Exchange to bring these discussions and events to our great town. Further details on these will be published soon. As the MP for Warrington South, I am keen to involve local business’ and civic leaders from my constituency and UK-wide in this inquiry. If you are interested, please get in touch. I want to thank all my constituents who have contacted me recently about Brexit. Despite public division and parliamentary deadlock, I remain committed to representing views on both sides of this debate and working towards an outcome which puts my constituents first. tonight’s debate which seek to take a No Deal Brexit off the table. Neither this amendment nor the bill block Brexit or revoke Article 50. They simply give Parliament the right to vote on whether to extend Article 50 if time has run out. I do not wish to overturn Britain’s vote to leave the European Union. But I do want to ensure that existing jobs, rights and living standards are protected as we leave the European Union. This means getting Brexit right, but with the No Deal deadline fast approaching, it is clear that the Conservative Government has comprehensively failed to do this. This Government’s plan does not satisfy leave or remain voters. No Deal would mean WTO tariffs on food, border delays and customs costs for manufacturing industry, serious risks to medical supplies in the NHS and the undermining of border security and police co-operation. Supermarkets have written to the Government warning that No Deal will mean higher prices and empty shelves as warehouses are full and supply chains will be disrupted. The poorest families will be hit the hardest by No Deal. I can not, in good conscience, allow this to happen to my constituents, who put their faith in me at the last General Election to put their interests first. I understand that many of my constituents who voted to leave the European Union fear that their voice is not being heard in parliament. I have listened to their concerns, and I want to assure them that these decisions are not made lightly; they are never made without fully considering the views of all of my constituents. However, I have been clear throughout this process that no deal is an unacceptable outcome for the people of Warrington. For these reasons, I will be voting to prevent a No Deal Brexit tonight and to protect jobs, rights and living standards. 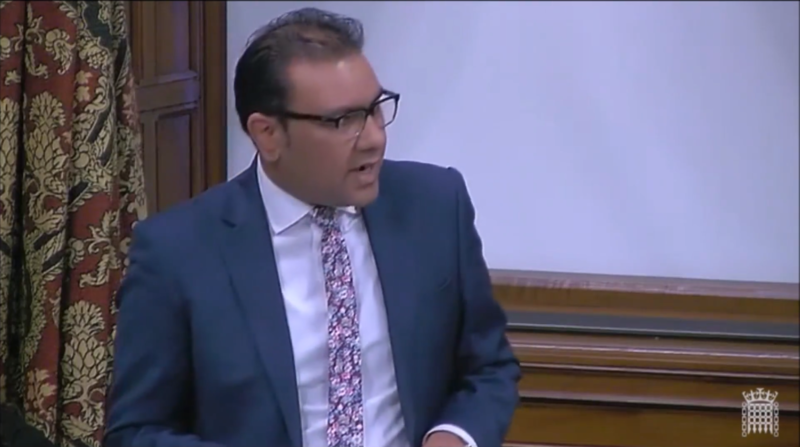 Faisal Rashid, MP for Warrington South, has welcomed the news that the Halliwell Jones Stadium will host three men’s group games at the 2021 Rugby League World Cup and the entire Physical Disability League World Cup. Faisal had backed Warrington’s bid to host part of the Rugby League World Cup 2021 in Warrington. In his letter of support, he said that Warrington had long established itself as a deeply passionate Rugby League town with a genuine appreciation for the sport. And he said that the town’s long and successful legacy as the home of the Warrington Wolves included a fantastic local support base at the Halliwell Jones Stadium. It has now been announced that Warrington’s bid to bring the international tournament to the town has been successful. Three of the men’s group games are due to be played at the Halliwell Jones Stadium, and the town will also host the entire Physical Disability League World Cup. The 2021 Rugby League World Cup is set to be the most inclusive rugby league event ever, with the men’s, women’s and wheelchair tournaments to be played concurrently for the first time. Another UK first will see the women’s and men’s finals take place as a double header at Old Trafford, and further west, Liverpool’s M&S Bank Arena Liverpool will host the wheelchair final. 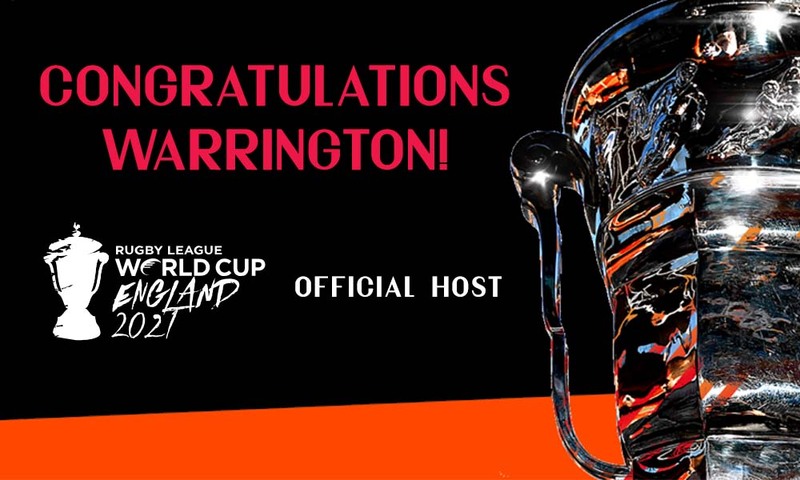 “I am absolutely delighted to hear that Warrington has been successful in its bid to part host the 2021 Rugby League World Cup and to host the Physical Disability League World Cup. I backed the town’s bid for the games and I am thrilled that we are being given the fantastic opportunity not only to host three of the men’s group games at the Rugby League World Cup, but to also host all of the games in the Physical Disability League World Cup. Warrington has played a key role in raising awareness and developing the launch and growth of the Physical Disability Rugby League – the very first match was held in Warrington and attracted over 1,000 spectators –another fantastic addition to Warrington’s rugby legacy. “Congratulations to everyone who was involved in the bid. This is very exciting news for our town. It brings a wealth of opportunities and gives us a chance to showcase Warrington on the international stage. The New Year brings a good opportunity to look back on the last 12 months and ahead towards the challenges that 2019 will bring. Over the last year, I have been working hard to keep my commitment to be an accessible MP, holding surgeries, meetings, coffee mornings, street and roving surgeries across the constituency. In 2019 I will continue to fulfil this promise to my constituents. 2018 was the year of the highly critical UN report on the impact of austerity in the UK. This report accused the Government of “callous” spending policies that hit the poorest hardest. The impact of this Government’s austerity drive has been clear to me as I have seen an increasing number of complex cases coming into my office. Undeniably we face a challenging year ahead. But, as the MP for Warrington South, I am determined that the constituency has a strong voice both locally and nationally. And, I have pledged to work alongside Warrington Borough Council’s new leader, Russ Bowden, to promote greater openness and engagement with Warrington South residents. Nationally, the Government is pressing ahead with cuts to funding for our public services. They have cut funding to Warrington Borough Council by £122 million since 2010. By 2020 the Council will have to save at least another £38 million. At the same time, demand on services is growing. Our schools are facing growing financial pressures, so too are our police. We have a crisis in social care. In Westminster, working alongside my Labour colleagues, we have been challenging the Government on these issues. In 2019 we will carry on that fight. This year Warrington’s Local Plan is set to return for further consultation. Since being elected in 2017 I have always represented my constituents’ views on the proposals and, I have always made it clear that Green Belt land should be protected from development wherever possible. In 2019 I will continue to do so. In the months ahead, I will be working on a number of issues that affect our town including campaigns to try to tackle traffic congestion and poor air quality, the need for more social housing and action to tackle rising poverty and loneliness. In Westminster I am working to establish a new All-Party Parliamentary Group on Trade Justice, a forum for promoting discussion and debate about trade justice issues. And, I will continue to champion the issues that matter to my constituents. Over the next 12 months I will continue to prioritise helping those in need and I will carry on fighting for the interests of Warrington South. 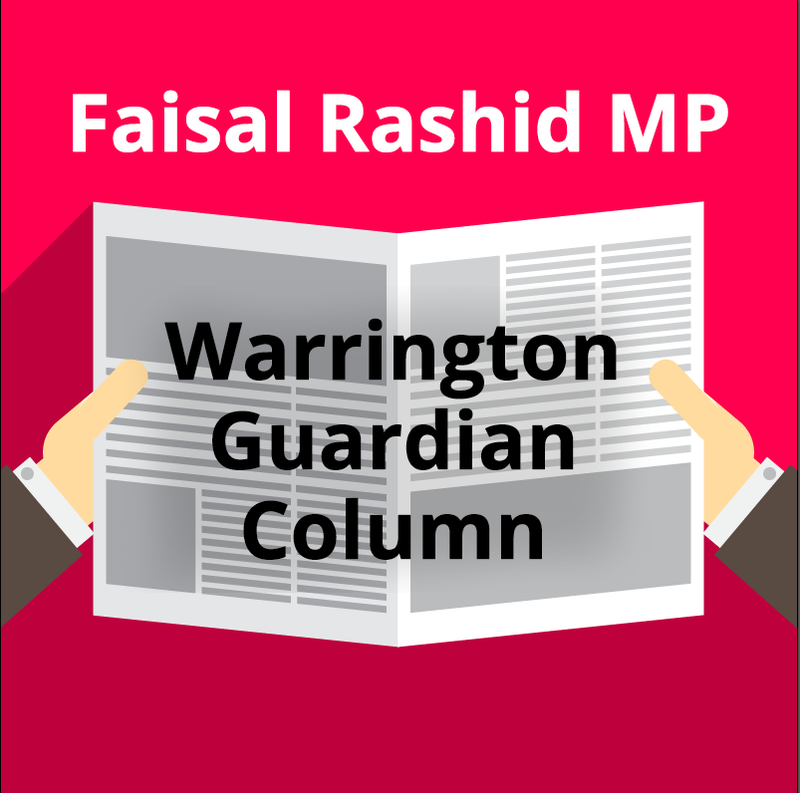 Faisal Rashid, MP for Warrington South, recently spoke at a debate in Westminster on apprenticeships and skills. During the debate, Faisal said that after 8 years of inadequate Government investment, young people were being poorly prepared for a jobs market that is becoming increasingly fragmented and insecure. Referring to research published by the Federation of Small Businesses, he said that many small businesses were struggling to fill skilled jobs, with almost a third of recruiting firms facing skills shortages. He added that according to a London School of Economics report on England’s qualifications gap, skilled trades comprised nearly half of all occupations reporting skill-shortage vacancies, at 43 per cent. 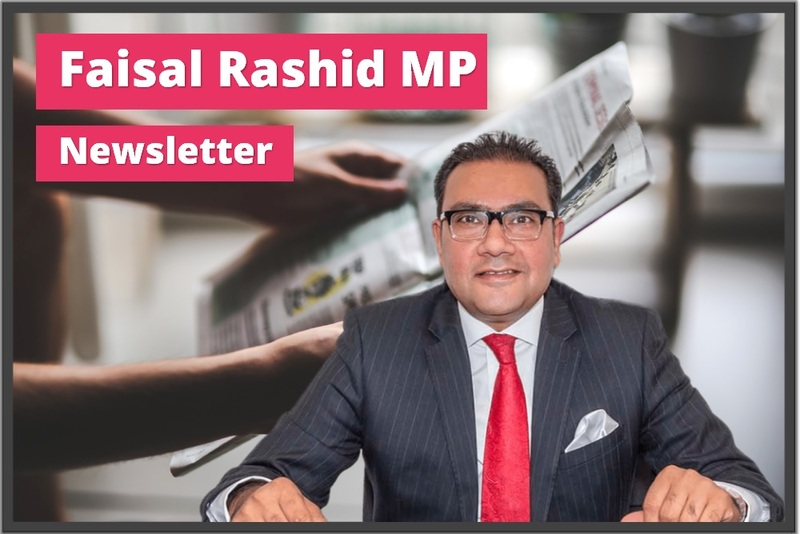 While Faisal made it clear that the apprenticeship levy was a welcome measure, he stressed that it only begins to address the scale of the problem. He concluded by calling on the government to introduce measures ensuring that the levy funded apprenticeships of a high quality. “The future of our country depends upon how well we can equip younger generations to face the challenges ahead. Sadly, eight years of Tory government have been eight long years of failing to properly invest in young people. The reality is that we now have a growing skills gap. “Employer-led training is the most effective way of meeting our growing skills gap. While I support the apprenticeship levy, I want to see steps put in place to ensure that every apprenticeship is of a high quality. “Labour proposed achieving this in our 2017 manifesto by requiring that the Institute for Apprenticeships and Technical Education report on an annual basis to the Secretary of State on quality outcomes of completed apprenticeships. By doing so, this would ensure that they are delivering skilled workers for employers and real jobs for apprentices at the end of their training. This evening, myself and MPs from all sides of the House are due to vote on the Prime Minister’s Brexit deal. Ahead of tonight’s historic vote in the House of Commons, I wanted to outline why I will be voting against the Prime Minister’s Deal. I have always accepted and respected the result of the 2016 referendum while working to represent the concerns of my constituents on both sides of the debate. This is one of the most important political decisions in a lifetime. This decision will affect not only our generation, but also future generations. And so it is absolutely essential that we get it right. Hundreds of my constituents who voted both Leave and Remain have contacted me over the last couple of months to give their opinions on the deal. It is clear that people from across Warrington South are deeply divided on what our future partnership with the EU should look like. I have however carefully considered the points raised by all of my constituents and I am grateful for this feedback. The deal that has been presented to us is not one that anyone voted for – regardless of whether they voted to Leave or Remain. From the correspondence I have received to date and the conversations I have had throughout the constituency, it is also clear to me that most people in Warrington South do not support the Brexit deal that the Prime Minister has put forward. As the Member of Parliament for Warrington South, I will do my best to make the right decisions for my constituents, and for the country – with the information that is available to me. I am absolutely committed to ensuring that the Government achieves the best possible deal for Warrington South and the UK as a whole. One that protects jobs, the economy and rights. The Prime Minister has completely lost her grip on this issue. The Government has suffered humiliating defeats, and in a historic move, it was found in contempt of Parliament over its refusal to publish the full Brexit legal advice. Despite delaying the vote until this evening, it is clear that this is the same flawed deal that the Prime Minister put before the House in December last year. The Prime Minister has not secured any changes to the Withdrawal Agreement or the Political Declaration. The deal fails to protect manufacturing, offers no firm protections for services and fails to protect workers’ rights and the environment. 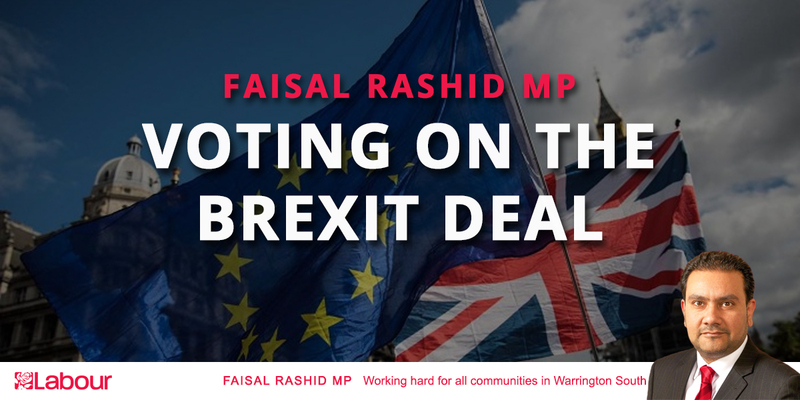 This deal is bad for the United Kingdom, it is bad for Warrington and therefore is not a deal that I can support.I cannot vote for a bad Brexit deal that makes my constituents poorer. However, I do not accept the choice is between this deal or no deal. Voting against a bad deal should not be taken as an endorsement of no deal at all. Leaving the EU without a deal would be the worst possible outcome to this process, with severe consequences across many areas. This would include an end to the frictionless and tariff-free trade with the EU that our manufacturers rely on and no agreement on how to avoid a hard border between Northern Ireland and the Republic of Ireland. If the Prime Minister’s deal is voted down this evening, Labour will work across Parliament to block ‘no deal’. I do not believe this deal is in the national interest, and therefore I have no option but to vote against the Prime Minister's deal this evening. oting against the Prime Minister’s deal does not mean voting against Brexit. 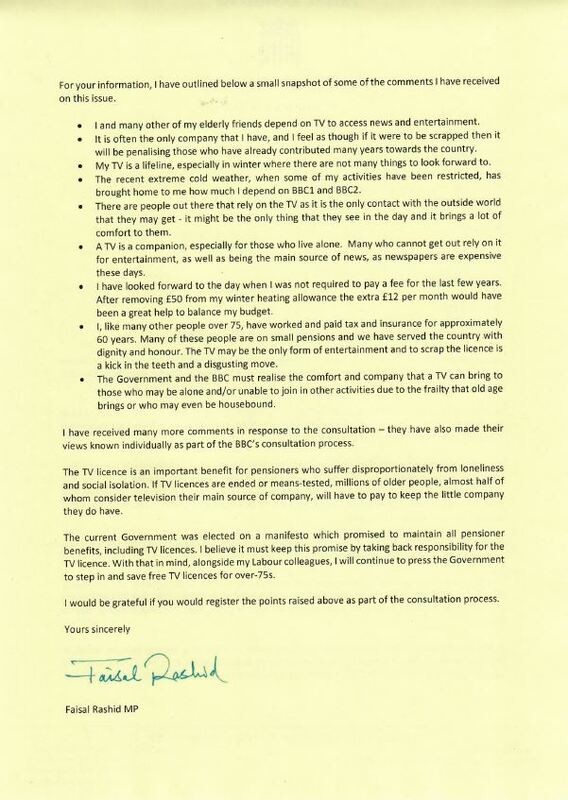 “By failing to protect the free TV Licence for over 75s, the Government is shamefully breaking its own 2017 manifesto pledge. “According to Age UK, nearly a third of over 75s are living in poverty or just above the poverty line. 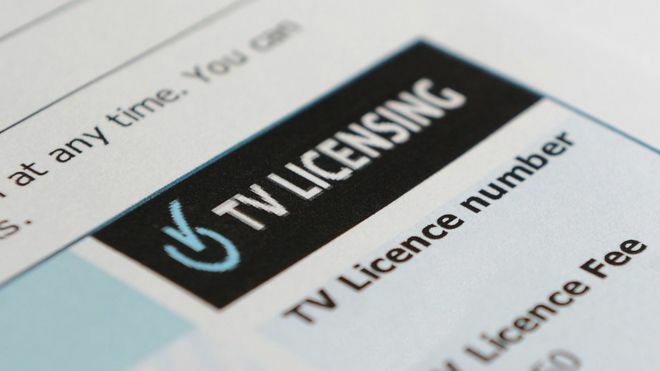 If the free over 75s TV licence is scrapped, finding the money needed to pay for this additional bill will be impossible for those struggling to make ends meet. And, at a time when social isolation and loneliness is on the rise, this could mean the loss of their main form of company.